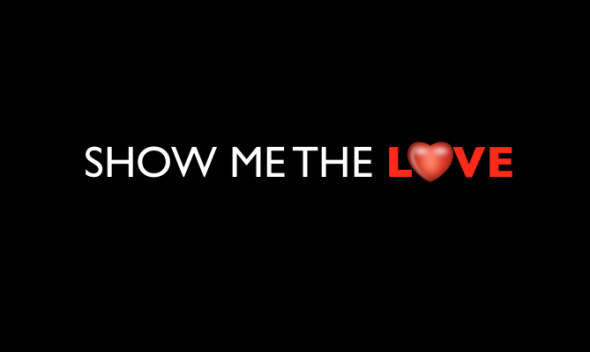 A good preamble to reading this post is to watch my Hollywood Drive & Talk on “Show Me The Love,” as this post expands upon the concept I introduce there. So what is SHOW ME THE LOVE? It’s a new currency to quantify the human, energetic and spiritual compensation that reflects meaning and value in our lives. We are entering an era where money is no longer the only thing of import. In fact, financial incentive has drained out of most endeavors. The familiar excuse that you may hate your job, that you’re not fulfilled by your work, that your day-to-day is immensely stressful or that it’s not really what you WANT to be doing, but you just can’t quit because the “money is just too good” has become a hollow one. Those days seem to be — by and large — over. The same is true for Hollywood. Compensation ain’t what it used to be. A-listers are hanging in the game and newcomers or very low paid artisans are getting opportunity because that’s all the financiers want to pay. It’s all the market will bear. The result: very little in between. The layer in the middle is gone. And that “middle” is almost everyone else. What that means is that people are forced to reflect on their fulfillment quotient. They start asking themselves: “If I’m not getting paid to do this, is this what I love? If it’s not what I love, what is?” And that’s exactly the right question. Because compensation needs to be more than monetary. MONETARY is MOMENTARY. Money is a resource to facilitate enjoyment in this brief nanosecond we are gifted with a life on the planet, but you can’t take it with you. And truly, monetary compensation is not the mark of success: it’s the RESULT of success. If you are living successfully, the money will follow. I’ve always been an “Even Steven” personality — feeling like I want to repay someone’s gift in greater or equal value to what I’ve received. I’ve come to realize that payback may not be fiscal. Typically, it doesn’t even NEED to be. See how far SHOWING THE LOVE can take you without money changing hands. Because it’s not just about the money. I’m sure everyone has had the experience of getting paid, but feeling that the experience wasn’t worth the dough or that it fell into the “life’s too short” category. Why is that? Because you got paid, but you weren’t SHOWN THE LOVE. Gandhi said: “Nearly everything you do is of no importance, but it’s important that you do it.” So while we’re on this journey of unimportance, shouldn’t we make the best of it? Do something that makes us happy and fulfilled? Do something of meaning and value? Leave behind a spiritual legacy of consequence? I was just at the Big Bear Film Festival where Tom Schulman, the writer of DEAD POETS SOCIETY, was honored with a Lifetime Achievement Award. We were treated to the key scene from the film where Robin William’s teacher imparts upon the boys the imperative of CARPE DIEM: “Seize the day.” Carpe Diem is all about making the most of the time we have. And that means MEANING. Following our bliss. SHOWING THE LOVE. In essence, it’s a value proposition. It’s about doing something worthwhile and fulfilling with our lives. Something that fills the well, inspires us and feeds us with energy to continue to do our thing, to keep on keeping on, to persevere through it all. And to have fun and feel rewarded along the journey. And that’s SHOW ME THE LOVE: the currency of exchange — our human, energetic and spiritual compensation — in a form that takes into account the totality of our experience. As a new currency of exchange, SHOW ME THE LOVE is easy to quantify because it’s based on HOW YOU FEEL. Money, despite its numeric absolute, is, ironically, harder to quantify. What is the real price you pay for something in terms of time, stress endured and life force expended for the financial payoff? Did someone else get more than you did for the same amount work? Are you getting enough? Was it worth it in the end? Was it a fair payoff for that expenditure of yourself? All of these questions surround the financial quantification of our existence. Reevaluating our lives through the prism of SHOW ME THE LOVE is a paradigm shift that can be eye-opening. SHOW ME THE LOVE is about getting in touch with your inner barometer and figuring out how that energy exchange (or lack thereof) makes you feel. It’s about whether you grok a sense of energy being returned to you in a similar manner to which you are putting it out. As you go through your work day ask yourself, AM I BEING SHOWN THE LOVE? THE LOVE is the totality of your feelings regarding your self-worth, your financial remuneration, being treated with respect, dealt with equitably, considerately, as a valued member of the team, being appreciated and ultimately feeling like your work has lasting value. SHOW ME THE LOVE pushes you to evaluate if you are being and feeling fulfilled. In this way, SHOW ME THE LOVE is sustaining. SHOW ME THE LOVE is also a great way to focus one’s energy and talents. In the business of Hollywood, you are broadcasting yourself and your energy outwardly — or you need to be (see Hollywood Drive & Talk: HANG IT OUT THERE) — and that requires transmitting your life force out into the universe in myriad directions. SHOW ME THE LOVE is your pH test for what’s working and what’s not; what direction to travel in and who to enlist in your cause — who to work with, run towards, run from — who the universe is magnetizing you to and who it’s not. It’s about being directed to the right people who will support you and what you are trying to accomplish. If you find you ARE being SHOWN THE LOVE in kind, then cast your life force in that direction — toward those projects, people and partners who are reciprocating. It’s that easy. To get anything done requires a village of supporters and an aligning of the energy of the universe. With SHOW ME THE LOVE, the energy that feeds you keeps the fires of your project stoked. It magnetizes other like-minded individuals to your endeavor. It also aligns and acknowledges the ethereal, magical and synchronistic forces at work on your behalf and encourages them to help you make it happen. SHOW ME THE LOVE is also a barometer for your own awareness of how the energy, appreciation and resources should be flowing FROM you TO others. SHOW ME THE LOVE heightens your own awareness of the help you DO receive, which should be acknowledged and returned. And by heightening your awarenes of SHOW ME THE LOVE in all facets of your life, you’ll become attuned to where LOVE is coming at you from directions you weren’t previously aware of or from individuals whom you had previously disregarded. The universe is telling you something. Go where you are SHOWN THE LOVE. So make some love, Hollywood party people. SHOW EACH OTHER THE LOVE! Your writings are brilliant, and I am going to start blasting them on facebook, twitter every chance I get.